Earlier this week, News & Features Editor, Ruby Grant shared her views on the trending #nomakeupselfie breast cancer awareness social media campaign. Today, guest writer, Ellen Read provides an alternative perspective. However, not everyone is so keen on the idea. Some warn that campaign makes light of cancer by drawing links between the ‘bravery’ in going makeup-free and battling cancer. Others question the true motive behind the campaign. Yomi Adegoke, who wrote for The Independent , is impressed with the money raised but suspects that vanity is the real driving force of the campaign, making the whole thing difficult for her to stomach. ‘How about just simply uploading the snap and not skipping out on donating to a cancer charity afterwards?’ She asks. So is this campaign just an excuse for people, particularly women, to indulge in our narcissism under the veil of altruism? I’ll admit I took part in this campaign. I promptly wiped off my stale makeup from a wedding I’d been to the day before, got myself into a well lit space and snapped some pics of my smiling post beach head. I tagged a bunch of people to do the same and then I went to the Australian Cancer Research Foundation and sent some money their way. Shortly after I saw some links on my facebook newsfeed to articles criticising the movement. For a moment I started to feel a bit like a self-absorbed fool who’d been sucked into this silly social media craze. This prompted me to reflect on Adegoke’s argument and consider these questions: why do some people have such an issue with women putting their bare faces all over social media? Why should women need an ‘excuse’ to do so? Why on earth should I or anyone else feel bad about participating simply because it involves putting our faces in the spotlight? Adegoke made the mistake of assuming that selfie participants are shallow, self-absorbed and couldn’t care less about cancer awareness or research. Apparently we are more concerned with promoting ourselves than anything else. Since the focus of the campaign has mainly landed on women, I feel that these criticisms are also mainly targeted at women, perhaps inadvertently. I worry it reinforces the idea that women should be selfless and modest not proud, confident and in everyone’s face. I feel that this unnecessarily shames women for doing something they may have felt good about or experienced as empowering. If you look at it a different way (the bleeding obvious way if you ask me), just maybe the campaign struck a chord with those who took part. The dichotomy Adegoke implies is false: many participants will have been impacted by cancer in some way; perhaps they themselves have had cancer, their family or their friends. I also like to think that women aren’t as flippant as the mainstream tends to depict. Clearly with the amount of money already raised, many are indeed donating after uploading their snaps. And besides, the simple act of promoting awareness has spread this message far and wide enough to bring the donations in. Personally, the campaign means much more to me than showing my face off. My clearest memory as a young child, at six years old, was when I sat in the hospice at my grandmother’s bedside in the last few days of her life. She had pancreatic cancer. My mother, who was in her late twenties, had painted a poem on a wooden plaque to give her that day. She choked on her tears as she tried to read it out to her. Things also changed in my family the day my dad lost his sister to leukaemia 15 years ago. I try to imagine losing my own sister and it is a very hard thought to bear. Treatments for cancer have progressed a lot over the years thanks to research. This is why the campaign appealed to me. I’m with Adegoke on one point: I wouldn’t call the bare-skinned selfie ‘brave’ simply because I find it an insult to women’s faces, and it also undermines the purpose of the campaign. But the fact that some people feel it is brave says a lot about the social pressures women experience when it comes to their outward appearance. I like the way the campaign exposes these pressures and facilitates a supportive environment for women to challenge these pressures. This may have been the initial point of the no makeup selfie and I don’t see an issue with the way it eventuated into a cancer awareness campaign, even it if seems unrelated. Selfies are a big thing at the moment; why not use them as a campaign tool? It’s a clever way to engage people on a massive scale, even if it was by accident. So far, it has worked excellently. 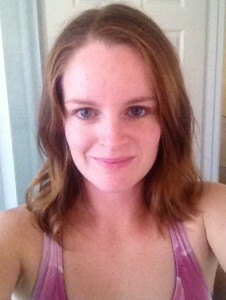 This entry was posted in Featured, Opinion and tagged #nomakeupselfie, breast cancer, featured, Opinion, women's health. Bookmark the permalink.